I don’t know about you, but when I’m stumped for a story idea, sometimes it is fun to imagine a situation out of a few odd items. I once started a free write using the words “bird, aerosol and Persia” and got the better part of a novel (yet to be finished) out of it. It’s exciting to see what develops when you aren’t trying to think of THE BEST IDEA EVER. Isn’t it funny how the most strange and wonderful stories can float out of us when we are doing the dishes, tramping through the woods…skydiving…or any other sane (or insane) activities during the day? What characters might come into the picture based on the scenario that unfolds? Sometimes it is best to let your imagination take over and see what it provides for you. 1. Write a scene that involves a diamond, a blow torch and a pair of old stockings. 2. Write a list of all the terrible things that could possibly happen to a character. Now write the scene. See where it takes you! 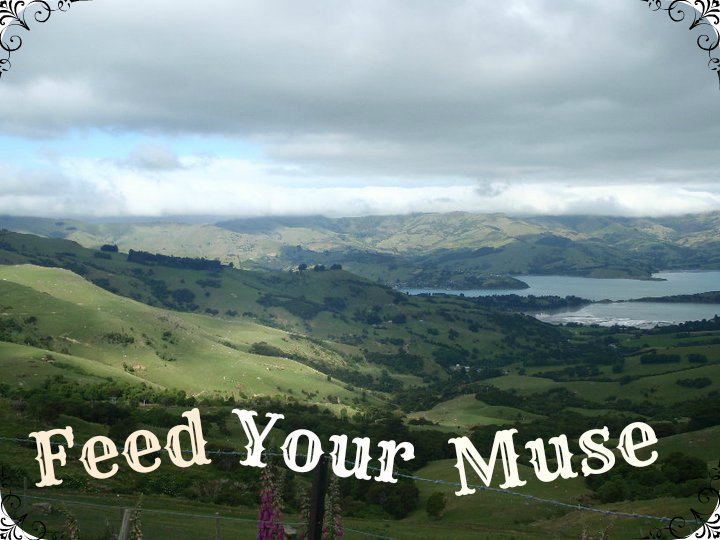 Feed your muse!